This was the very first piece of land bought by OPT, acquired in 1928 to preserve the stunning view of Oxford which at the time was threatened with the possibility of housing development. 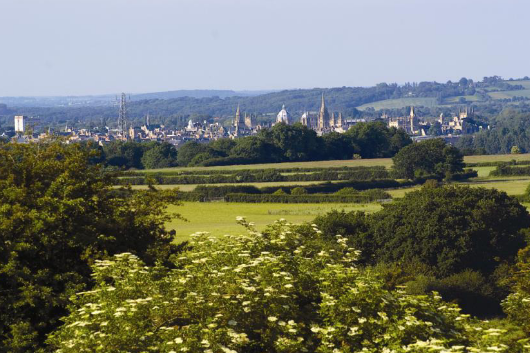 This spot is really very special and provides one of the best vantage points to enjoy uninterrupted views over the city of Oxford. Once Lord Berkeley’s private golf course, the fields are now unimproved grassland, grazed by sheep and cattle. The area is an environmental and cultural gem and continues to attract and inspire painters, photographers, poets, and occasionally film crews.